I've been trying to think of a theme for my son's 2nd birthday party next week. It really shouldn't be that hard of a decision seeing as all he is really going to care about is eating the cake and opening presents, right?! But, I figured since I already bought THIS Ikea circus tent as one of his gifts...I could use it as inspiration and incorporate it into a circus themed birthday party! 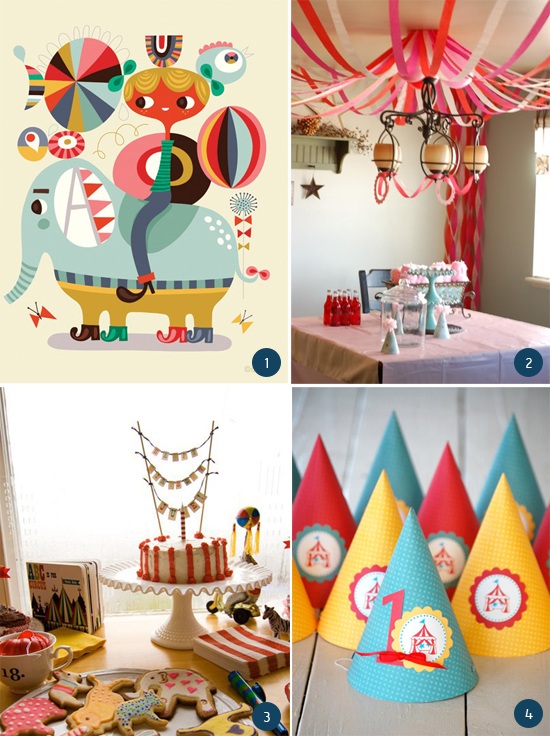 We aren't planning on doing anything huge, but I thought it would be fun to at least have some inexpensive decor in bright circus colors, and of course a circus themed cake. I just finished browsing Pintrest for some party ideas...a big thanks to all the creative people out there that make party planning so much easier! So precious. I think I'm going to have to steal this idea from you for my little one's 2nd birthday!! TOO CUTE! You realize that you are one of those people that make being creative easier? :) Congrats on your second little one! What a fun theme! And it goes perfectly with the tent you bought! I can't wait to see the amazing cake you're going to make!